Attention deficit hyperactivity disorder (ADHD) is one of the most common diagnoses of behavioral problems among school-aged children. ADHD diagnoses remain controversial since they are perceived as stigmatizing, and drug-based therapies may be accompanied by severe side effects. 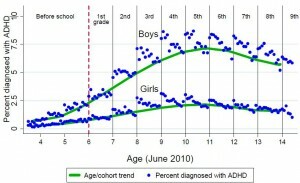 Against this background, IZA fellow Hannes Schwandt (University of Zurich) and Amelie Wuppermann (LMU Munich) report a stunning empirical finding: the probability of being diagnosed with ADHD strongly depends on the relative age of a student in their grade. In Germany, the age of primary school entry is governed by a cutoff date. A few days between birthday and cutoff date thus determine whether a student is among the oldest or youngest of the school cohort. This may have severe consequences, the study shows. According to the researchers, this may be due to teachers and parents comparing children to their grade mates. 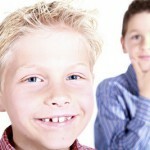 Higher prevalence of impulsive behavior and inattention among younger children is then potentially misdiagnosed as ADHD. “It is crucial to raise the awareness among doctors, parents and teachers that ADHD symptoms depend on a child’s actual age while differences in age are large within today’s classrooms,” the authors say, hoping that their findings are recognized in medical practice to reduce ADHD misdiagnoses. They also suggest making school-starting age regulations more flexible and deciding on a case-by-case basis to account for the individual development of students.